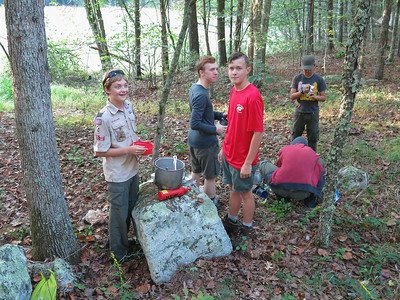 Troll Patrol, cooking mini-pancakes on an MSR Dragonfly. 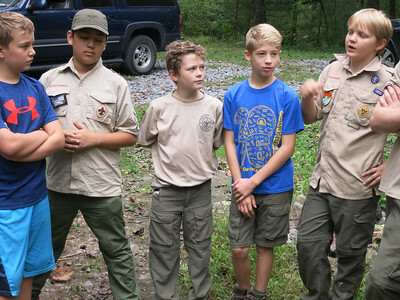 Members of the Hawks, Wolves, and Phoenix patrols. 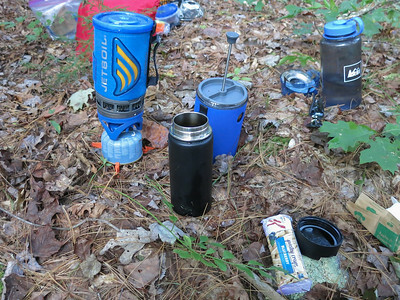 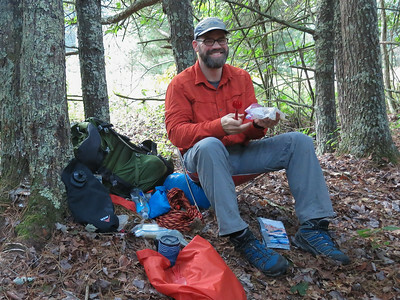 Seasoned backcountry campers. 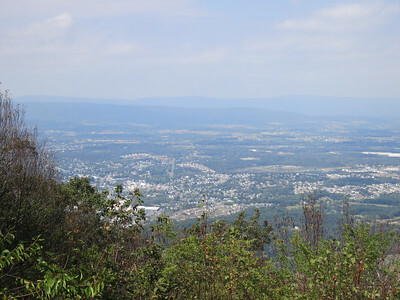 Signal Knob, the northernmost point of Three Top Mountain, overlooks Strasburg and is 2110 ft. above sea level. 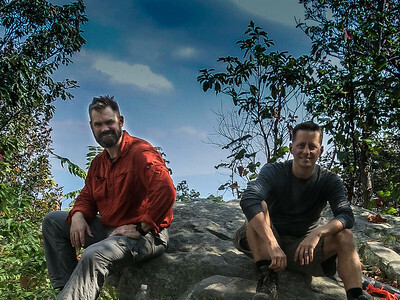 During the Civil War, both sides used it as a signal station, but the Confederate signal corps occupied it almost continuously from 1862 to 1864. 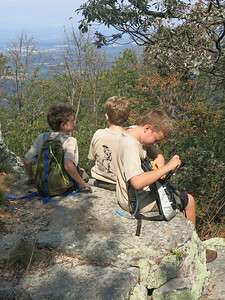 Troll Patrol members at the summit. 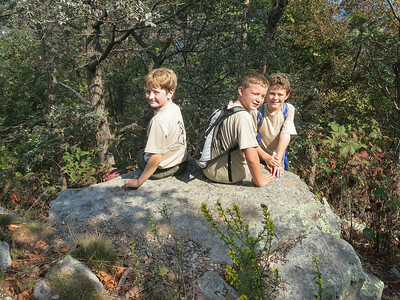 Troll Patrol members at the summit of Signal Knob in the GW National Forest. 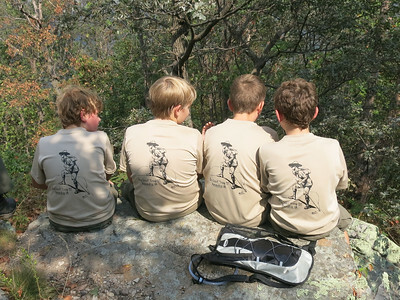 Troll Patrol, enjoying the summit of Signal Knob in the GW National Forest. 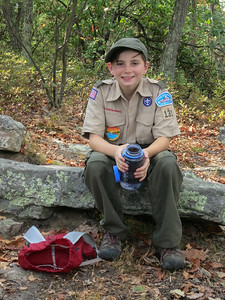 Troll Patrol member at the summit of Signal Knob. 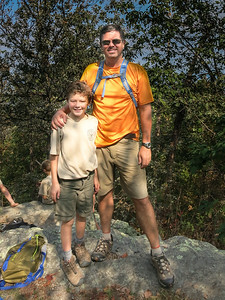 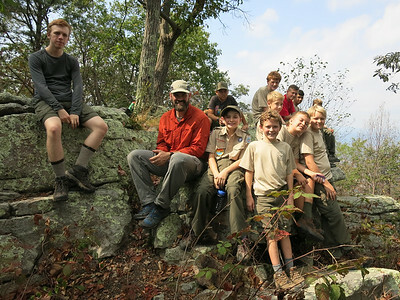 Troop 131 at the summit of Signal Knob in the GW National Forest with Scoutmaster Fraizer. 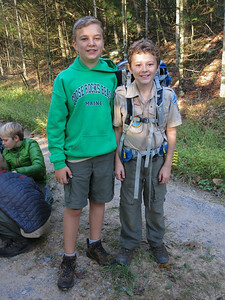 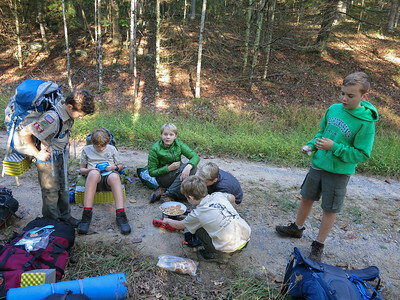 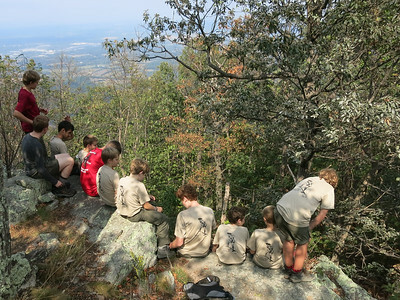 Troop 131 at the summit of Signal Knob in the GW National Forest. 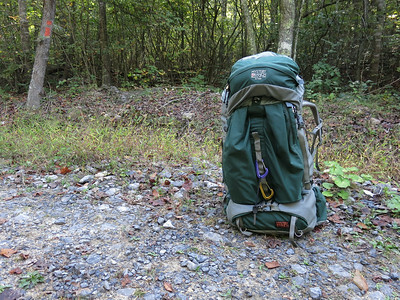 Troll Patrol, assessing the weekend trip with "Start, Stop, Continue."